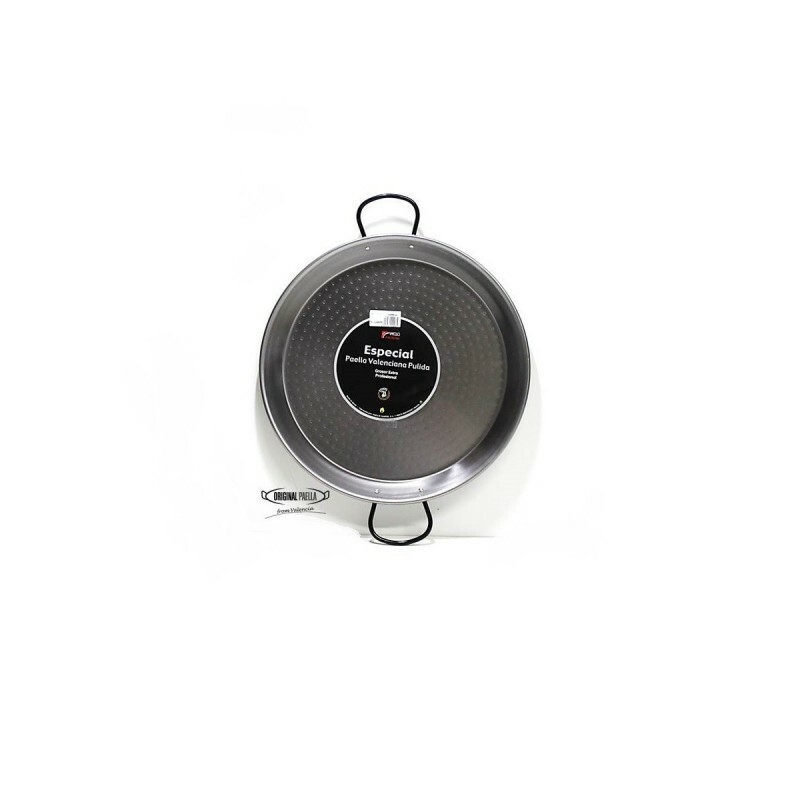 The whole paella pan is thicker and sturdier to ensure durability in constant use and they have highly resistant to warping. They're a good choice for restaurant kitchens. The pan bottom is dimpled in order to spread heat evenly. 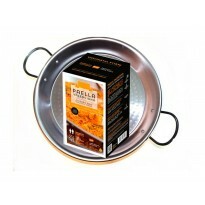 A 30 cm special thickness or double thickness paella pan is large enough for 2- 3 main course servings or for 4 people taster portions.